If you are looking for an alternative to the classic outdoor balance beam, the Challenge Walk is an excellent choice. This fun and enticing playground activity helps children build important skills and adds to the fun of recess and breaks. 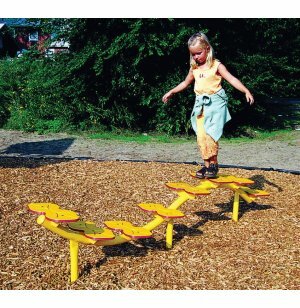 The Challenge Walk promotes balance and coordination, and can be incorporated in all kinds of games and activities. This playground equipment is designed to serve children at play for the long term. A powder-coated galvanized steel frame supports the high-density polyethylene steps. With a sturdy build, attractive design and great benefits, this playground activity is an excellent choice for any school, community center or house of worship. Skill Building: Builds balance, coordination, body awareness, confidence and more. Sturdy Support: Stands on a powder-coated galvanized steel frame. Requires a space of 20x14 feet. 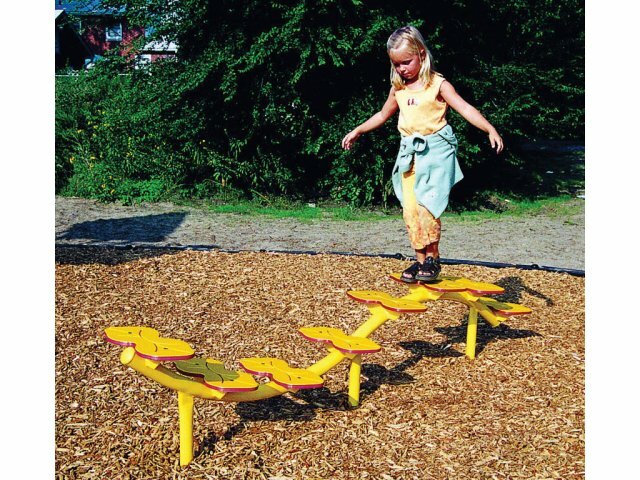 Durable Materials: High-density polyethylene steps are UV-resistant for long-lasting color.